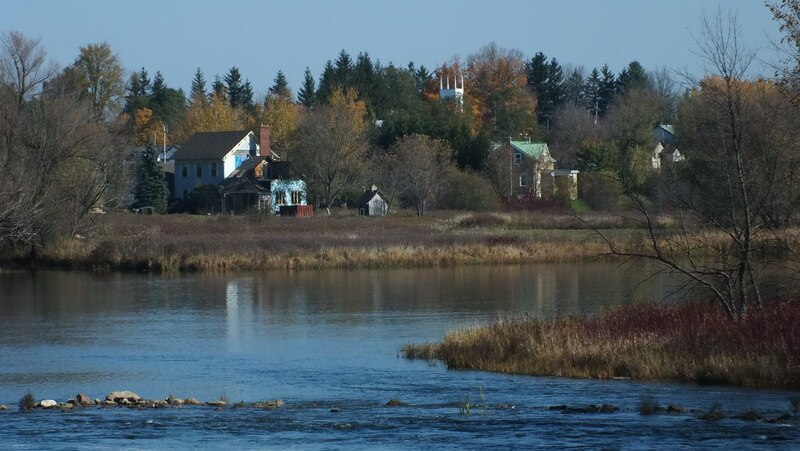 The historic village of Merrickville is situated on the scenic Rideau River, in Ontario, Canada. It is a unique and vibrant Victorian village. 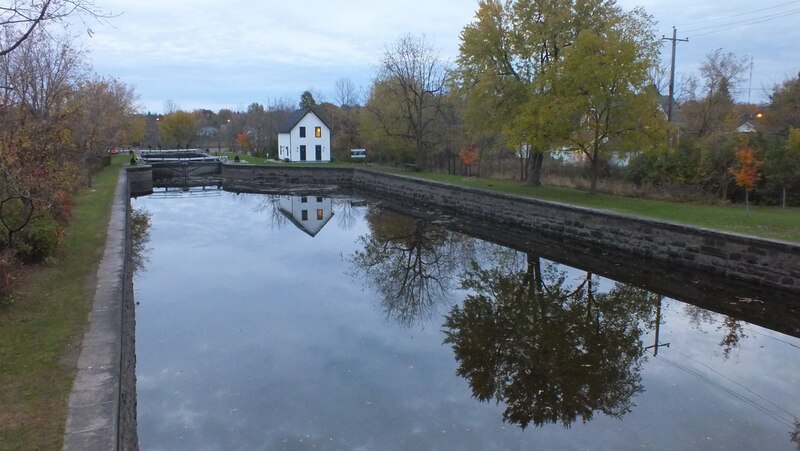 This is one of the locks of the Rideau Canal, which passes through Merrickville. 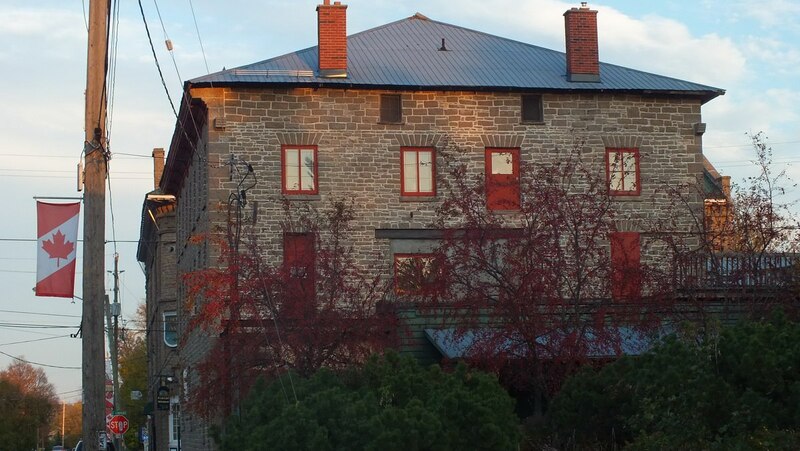 Merrickville is home to more designated heritage buildings than any other Ontario community of a similar size. 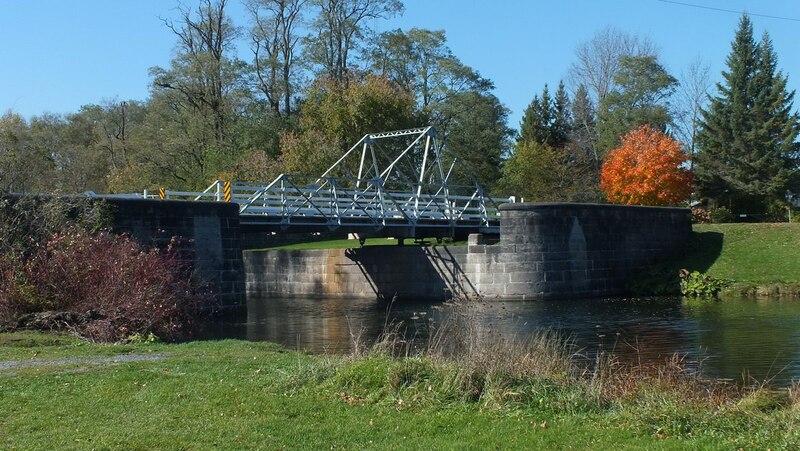 Merrickville is situated on the gorgeous Kingston-Ottawa Rideau Heritage Route. 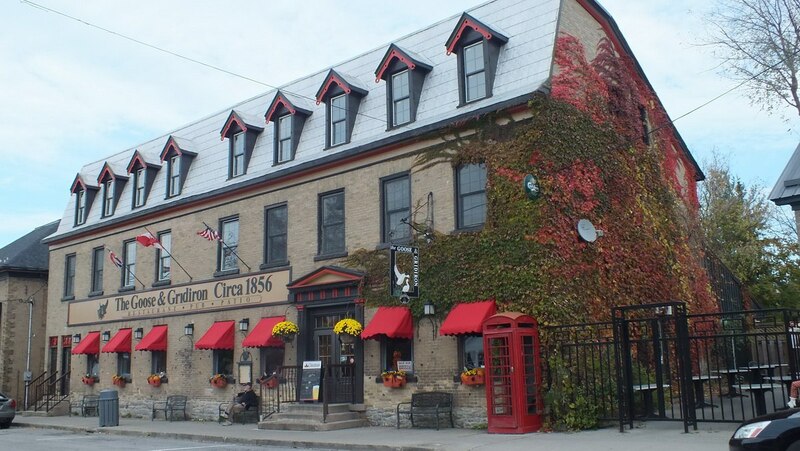 It is located near the mid-point of the canal system, and heritage buildings, such as this one on the main street, evoke fond memories of times gone by. 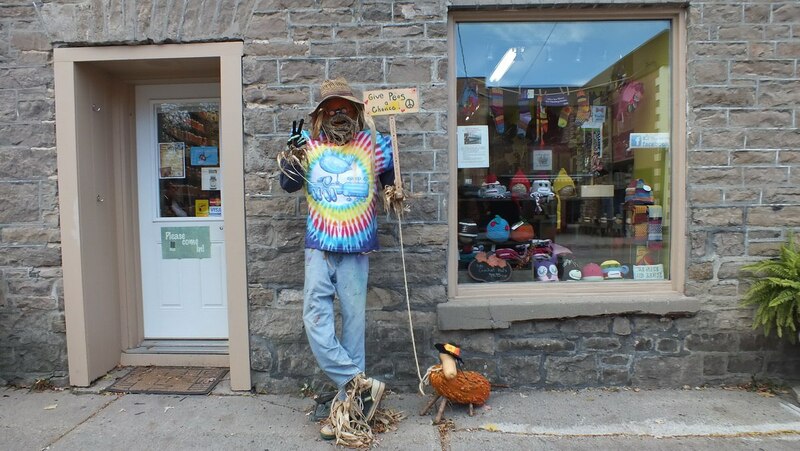 The businesses of Merrickville were engaging in a friendly competition to see which one could create the most interesting and “spooky” scarecrow. 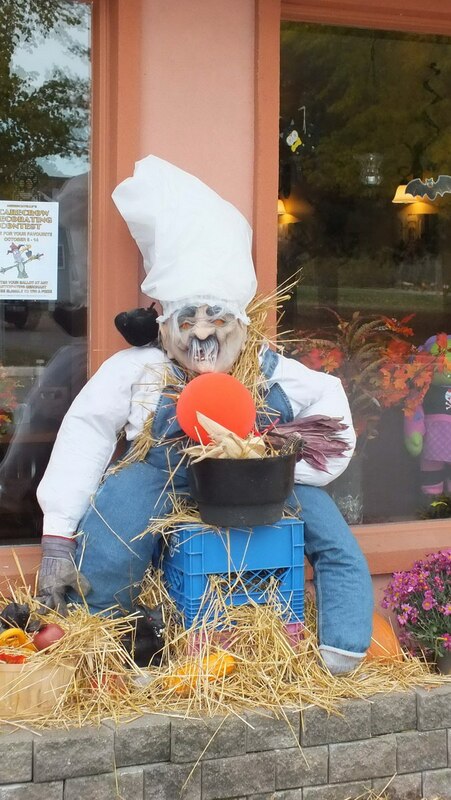 The slogan on this scarecrow encouraged onlookers to “give peas a chance”. I really like the dog at his side. 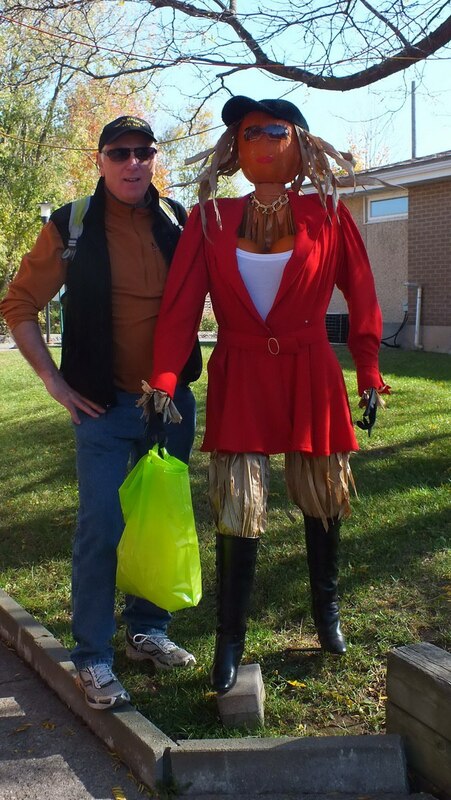 Bob is out on the town with a new woman! 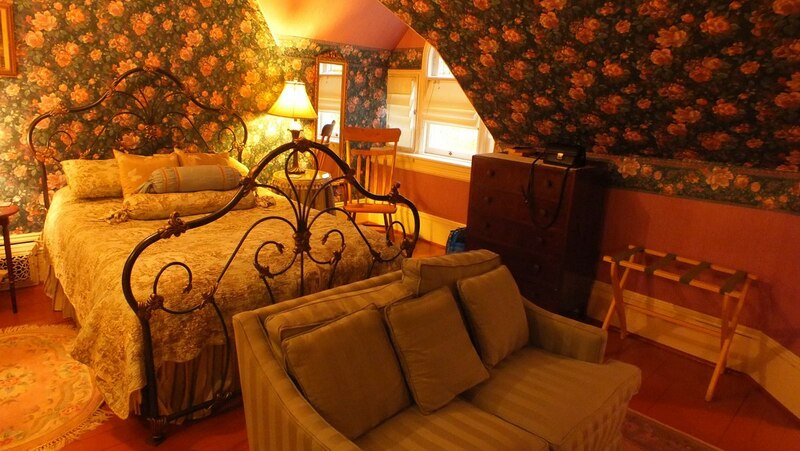 A spur of the moment booking at Millisle Bed & Breakfast proved to be the perfect getaway. 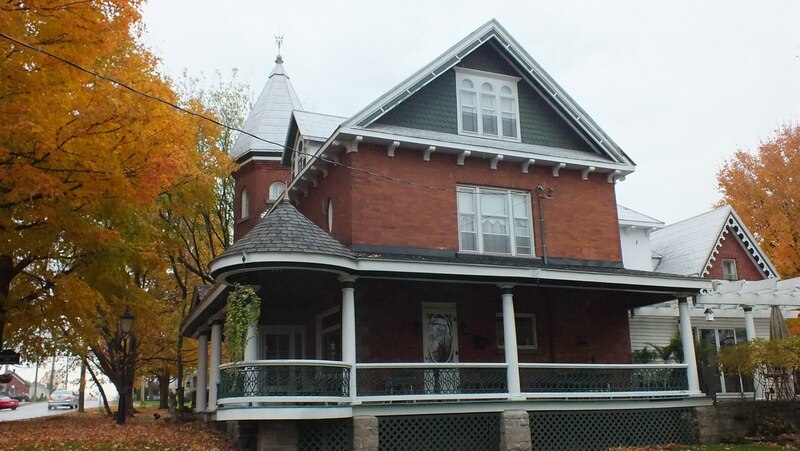 The Queen Anne style Victorian home (circa 1850) had its original wrap-around verandah and carriage house, which added to the charm of the building. 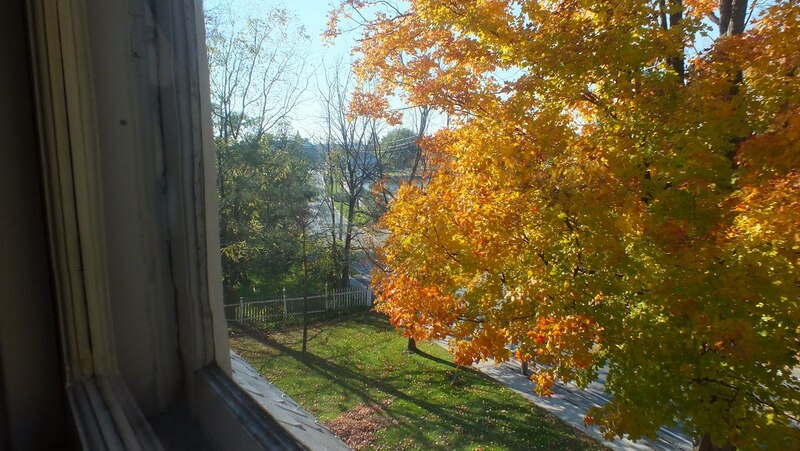 Turn of the century maple trees in fall autumn splendour cast a warm golden glow over the large town lot where the home is situated. 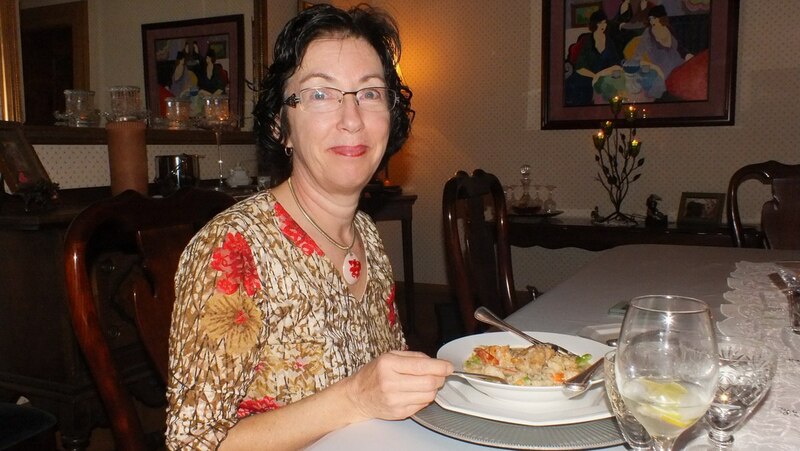 Indoors, there was a lovely ambience, made all the more pleasant by the warm welcome and attention to detail of the present owners, Chef Debra and Hugh MacLennan. The home, which is now carefully restored and houses the Millisle Bed and Breakfast, was once owned by William Magee, a prominent foundryman. 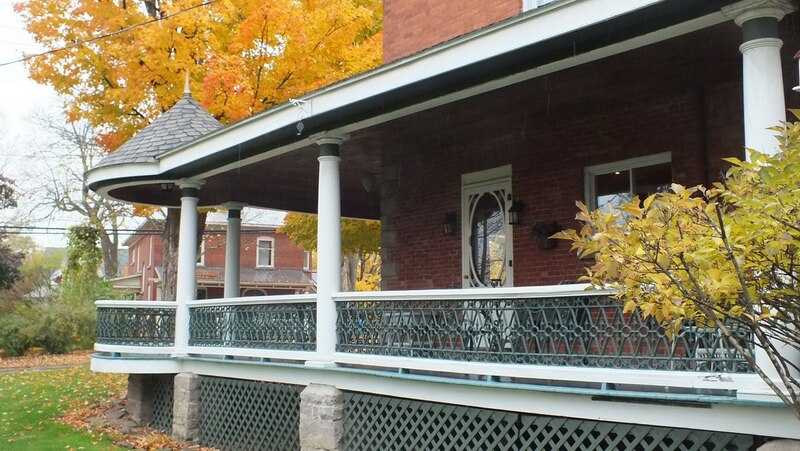 The railing circling the verandah was made at his local foundry. 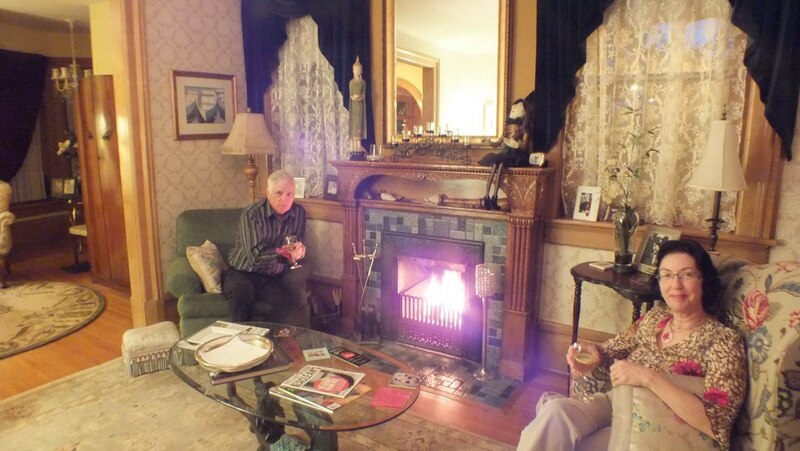 After a long day, it was nice to relax by the fireside with a crisp, cold glass of wine. 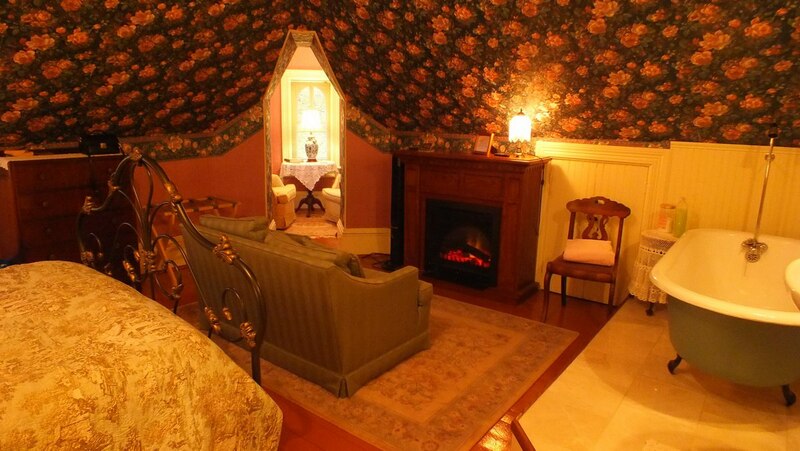 A welcoming sight was the warmth and charm of the Victoria suite, complete with a fireplace and inviting nooks and crannies. 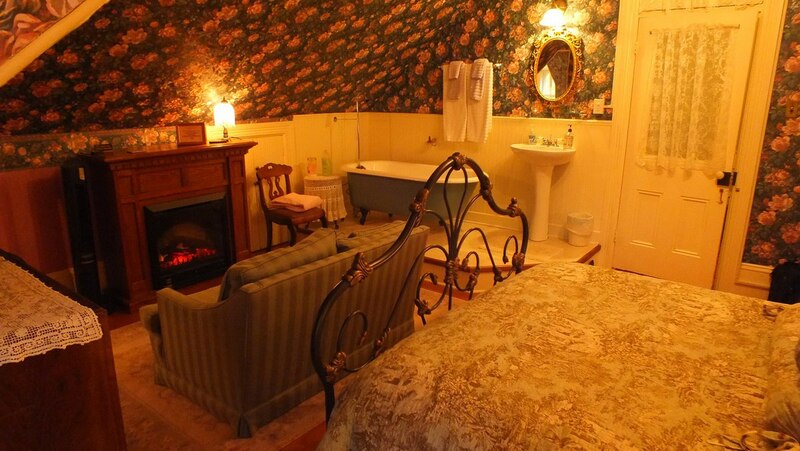 Our washroom was in the cutest little water closet just outside the bedroom door. A perfect spot for reading was provided in the tower room. This secluded little enclave, with windows on all sides, was cozy, comfortable and private. 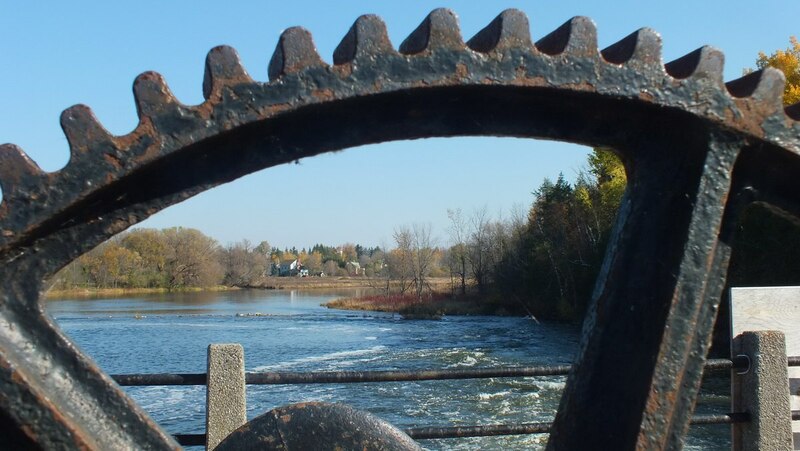 Looking toward downtown Merrickville, which is just across a nearby bridge and within walking distance. Our hearty breakfast necessitated a day of hiking. 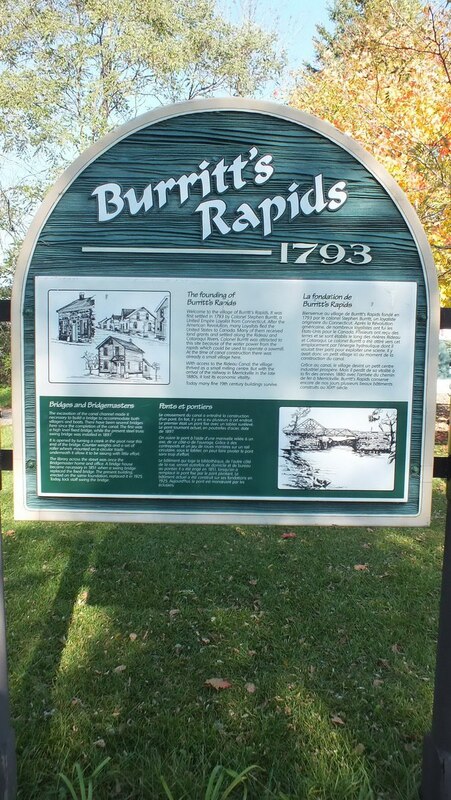 We began with a stroll on a little island in the Rideau River, following a trail to Burritt’s Rapids. 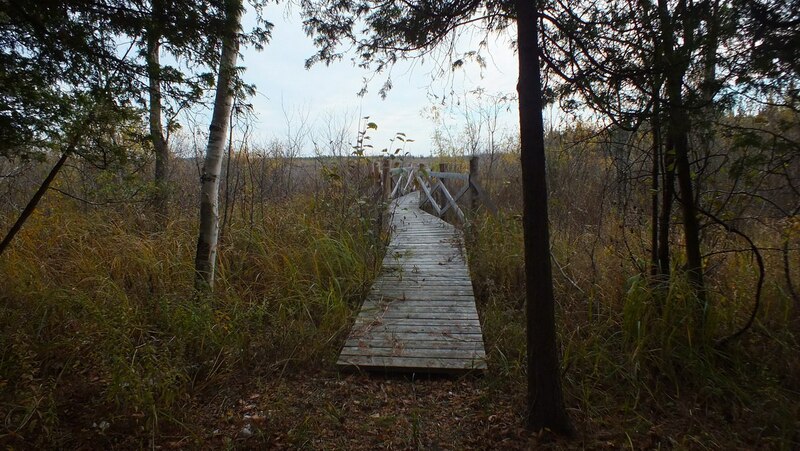 First, we crossed the canal on an old wooden swing bridge. 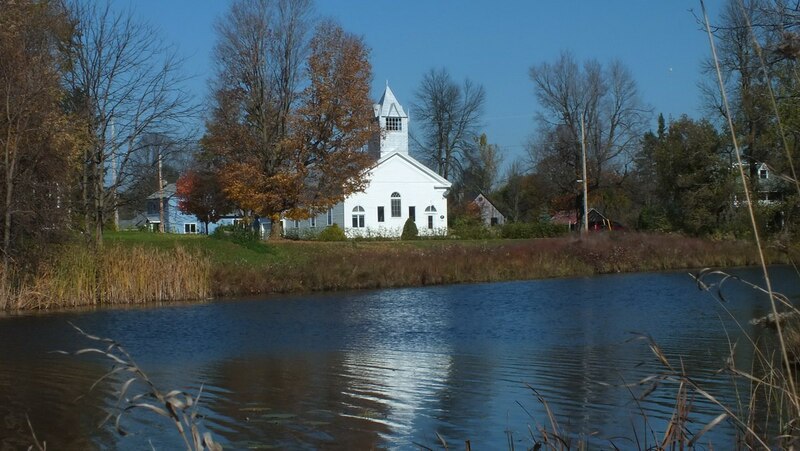 Seen from the wooden swing bridge, this primitive church is representative of the pastoral setting. 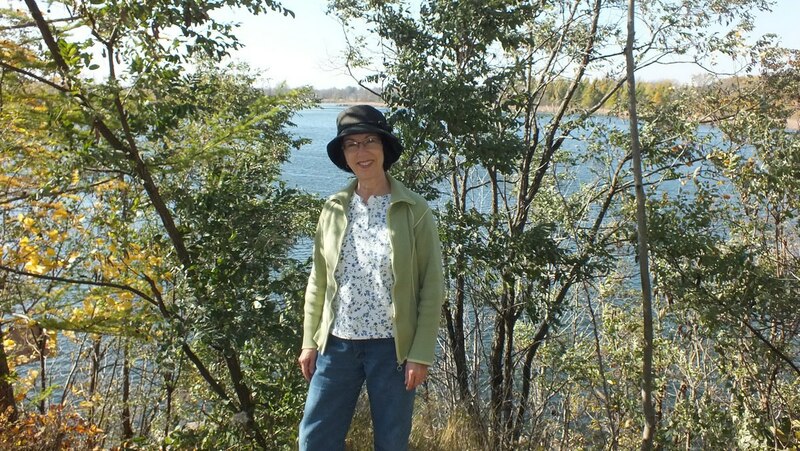 The trail was a short 4 kilometers, which followed the island to its tip and back again. 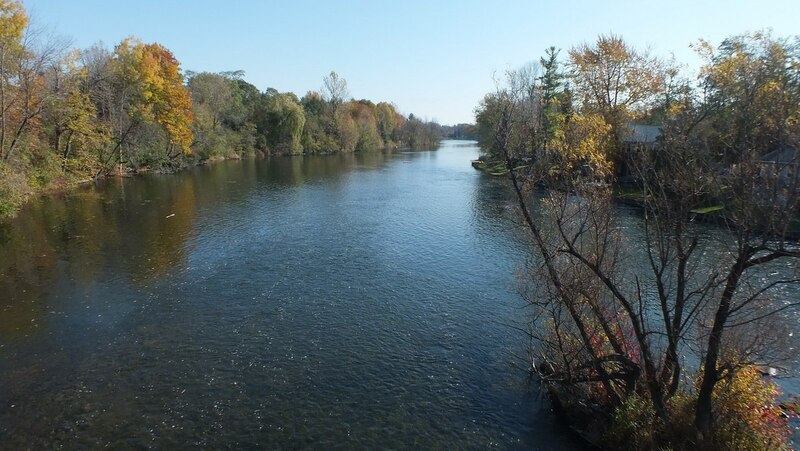 Beautiful, warm and sunny weather made for a perfect morning to enjoy the sights and sounds of the Rideau River. 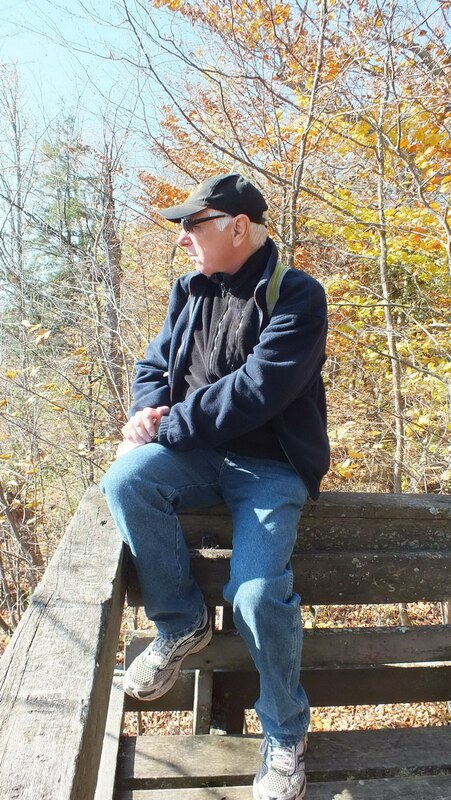 Bob surveys the adjacent marshland on the lookout for migrating birds. 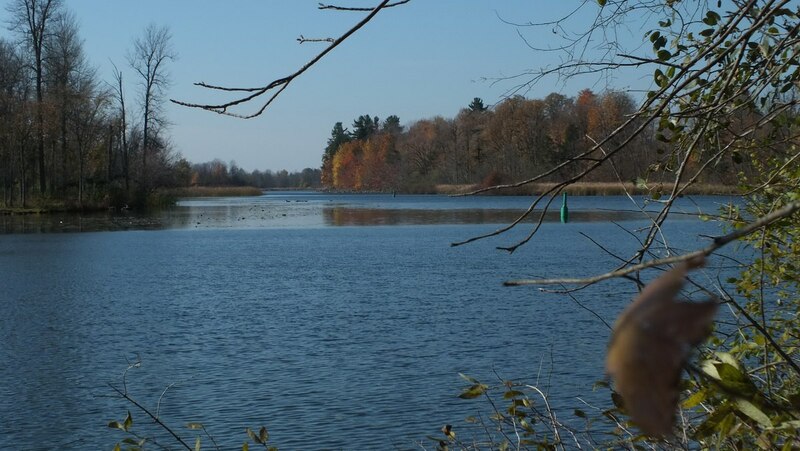 An artful view of the river looking back towards the way we had come. 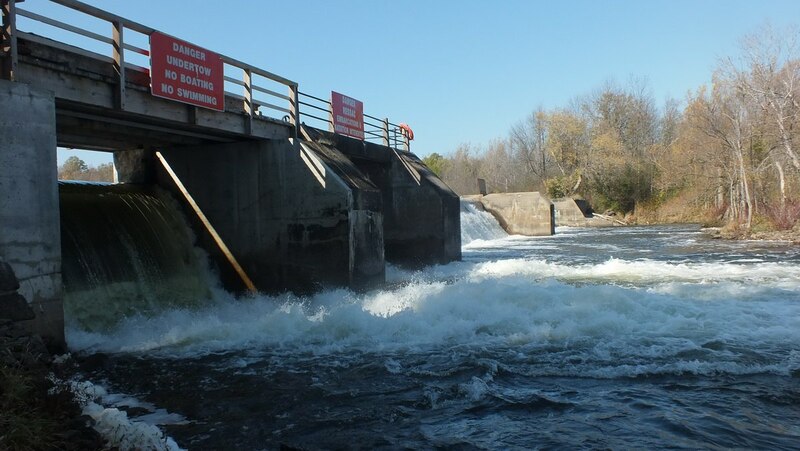 The dam spilled volumes of turbulent water into the river below. 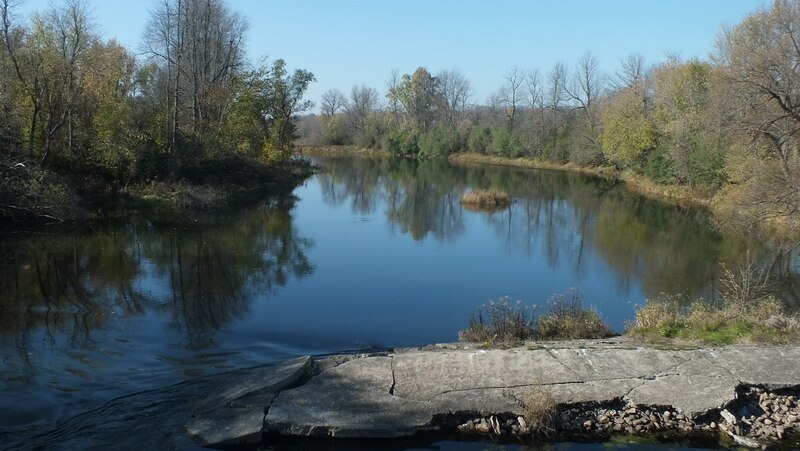 Other sections of the river remained calm and peaceful. 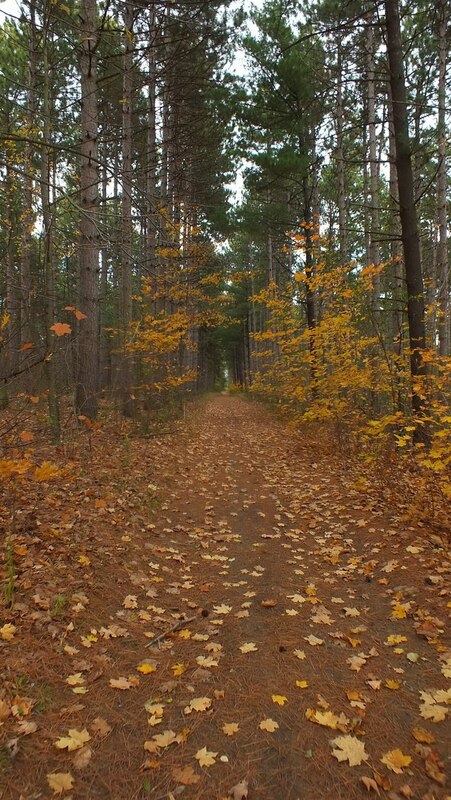 Gusty winds had autumn leaves swirling around our heads as we walked along the leaf-strewn path. 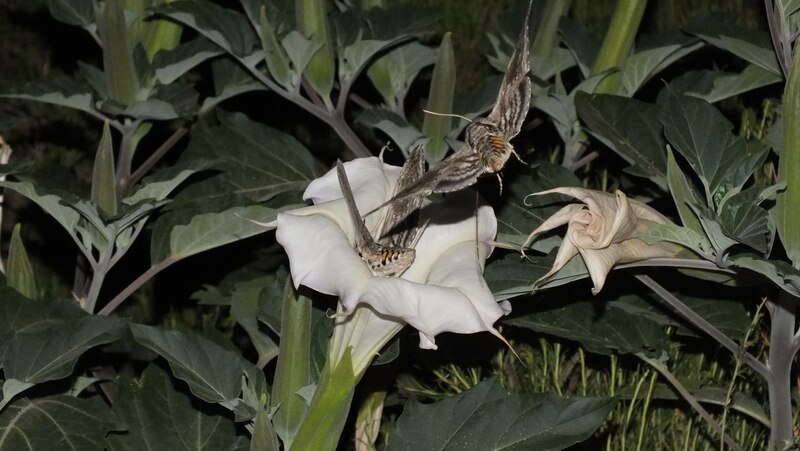 I paused for a photograph at the tip of the island. 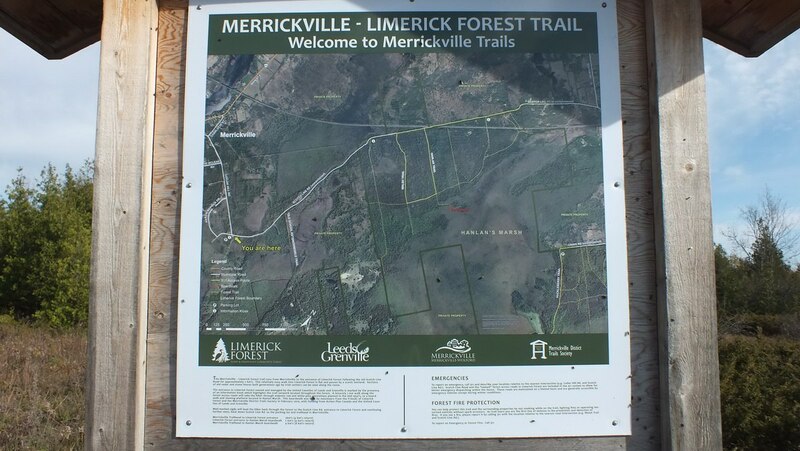 Later in the day, we tackled the Merrickville-Limerick Trail, which promised a pleasant walk through the Limerick Forest. 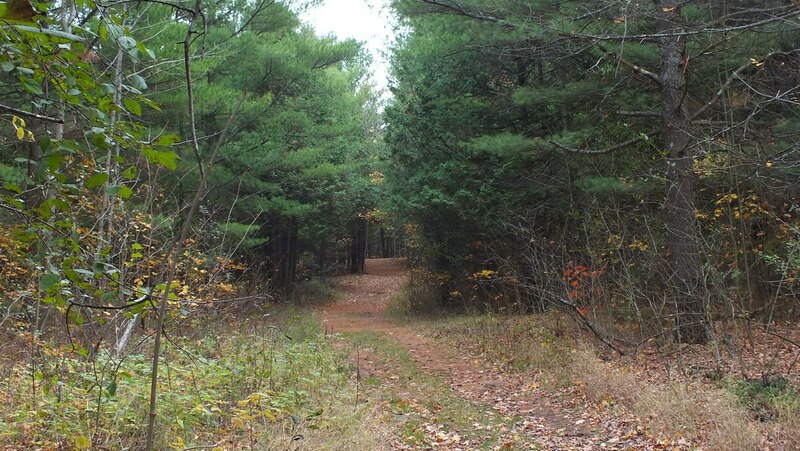 A good share of the trail followed an old road through the forest. 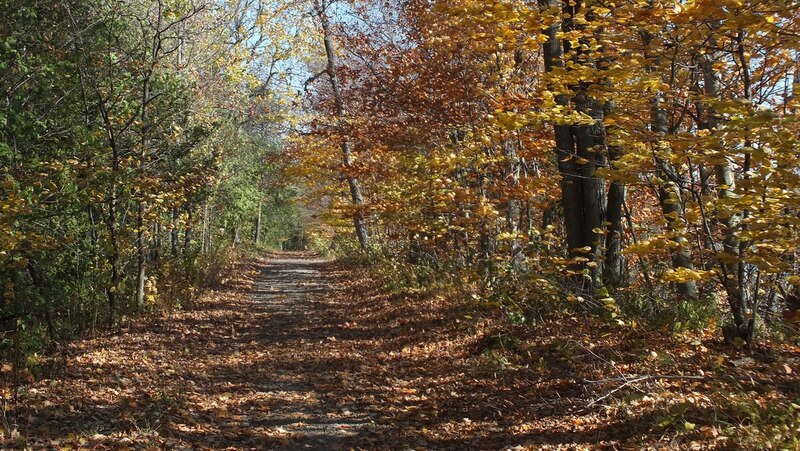 Together with the warm temperatures and familiar autumn smells, the walk made for a pleasant way to pass the afternoon. At one point, we came across the remains of an old bridge. 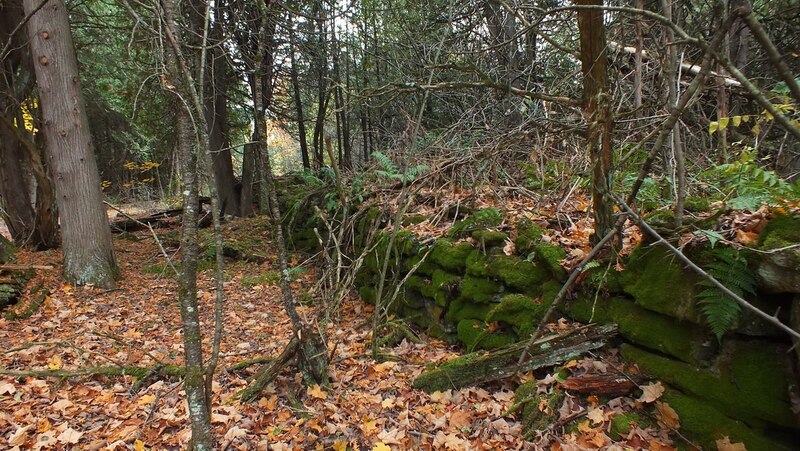 Stone walls on either side of a gully betrayed its earlier existence. 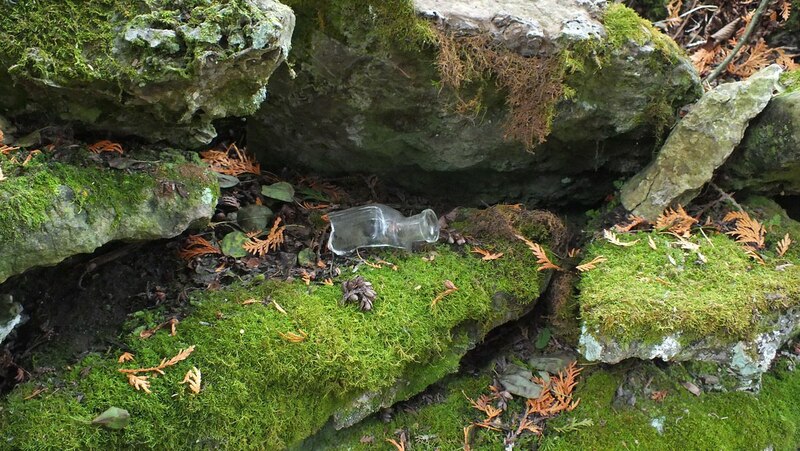 A section of an antique bottle lay tucked amongst the rocks and moss. As the afternoon wore on, we picked up our pace as we had made arrangements for a 6:30 dinner at Millisle Bed & Breakfast. 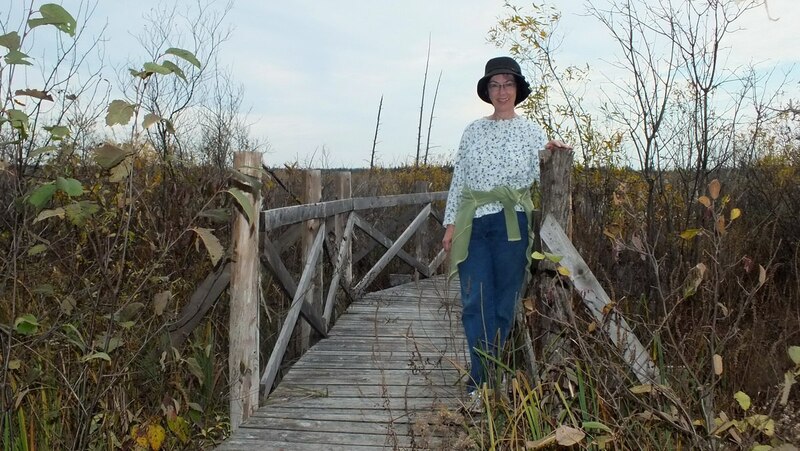 At long last, we reached the boardwalk adjacent to Hanlan’s Marsh. 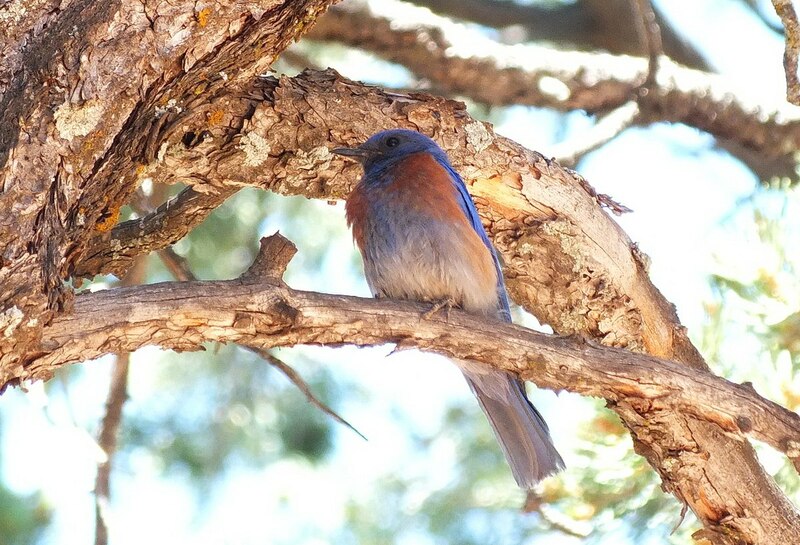 This late in the season, there were no birds to be seen. 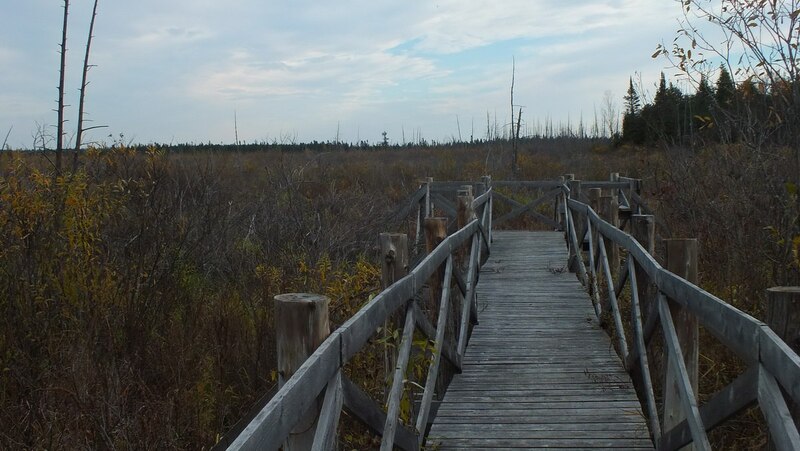 Hanlan’s Marsh was quite a vast area of wetland. 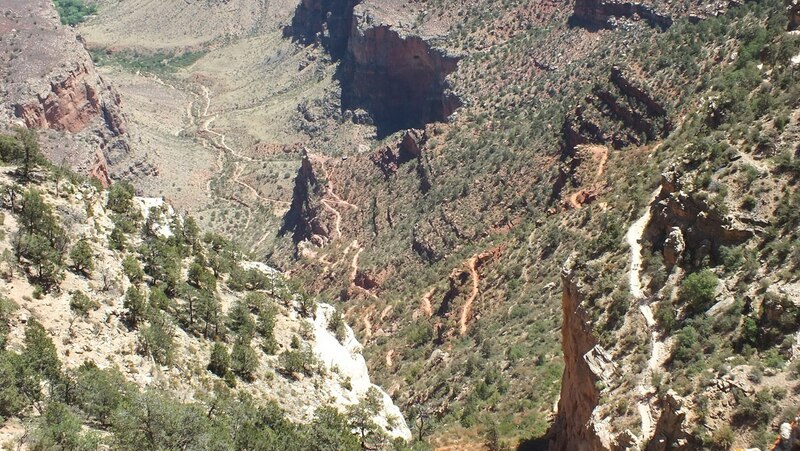 We paused here at the lookout for a few moments rest before beginning our return to the trailhead. 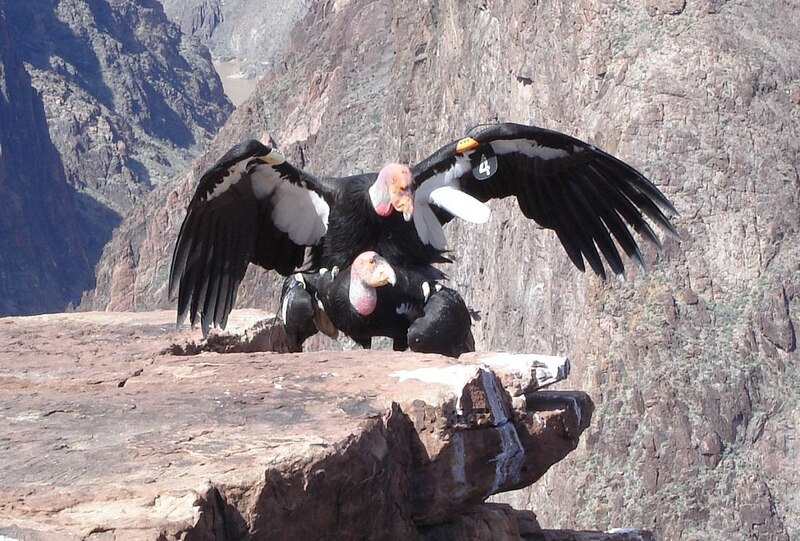 I am primed and ready for the return hike. The distance we covered ended up being 9 kilometers. 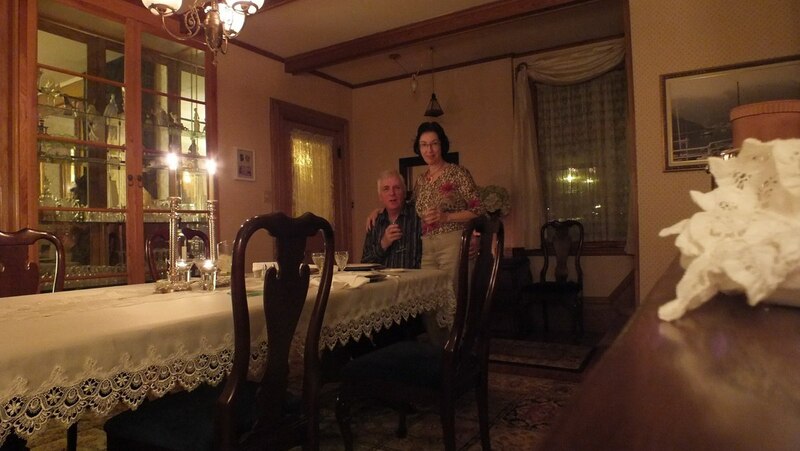 Hugh and Chef Debra had the dining room atmosphere perfected to a fine art with soft candlelight and soothing music. 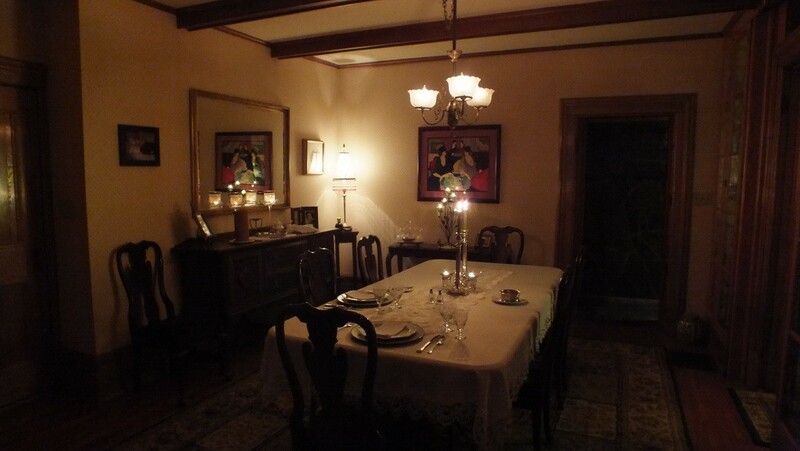 After canapes at fireside, we took our place at the dining room table, ready to be wowed by Chef Debra’s creations. 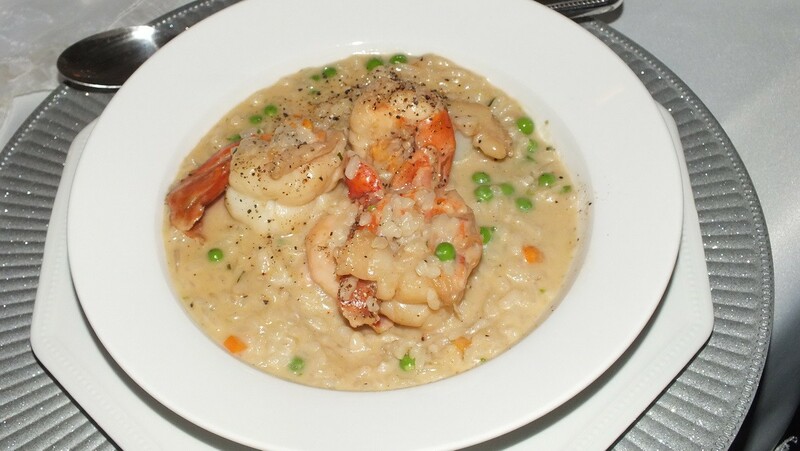 Savory seafood risotto with plump prawns, smooth-as-silk scallops and flavorful lobster really hit the spot. Late-season green peas from a local farmer added a burst of color and additional texture to the dish. 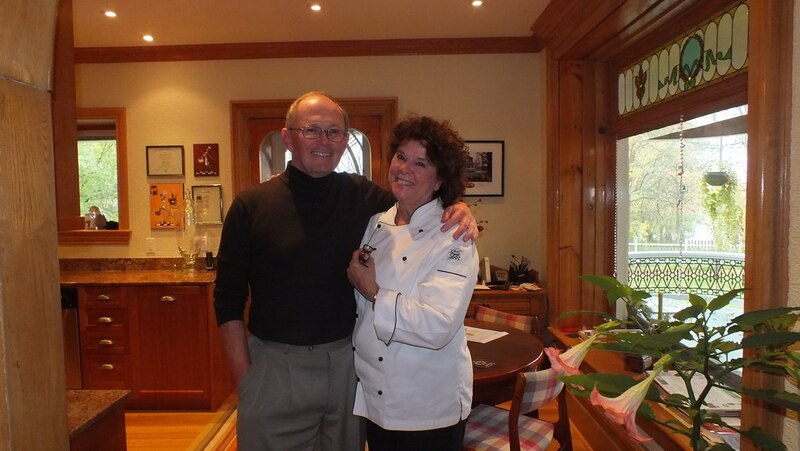 Chef Debra and Hugh MacLennan accept our accolades for the scrumptious and impeccably-prepared meal. We cast a backward glance at Millisle Bed & Breakfast as we headed for home. 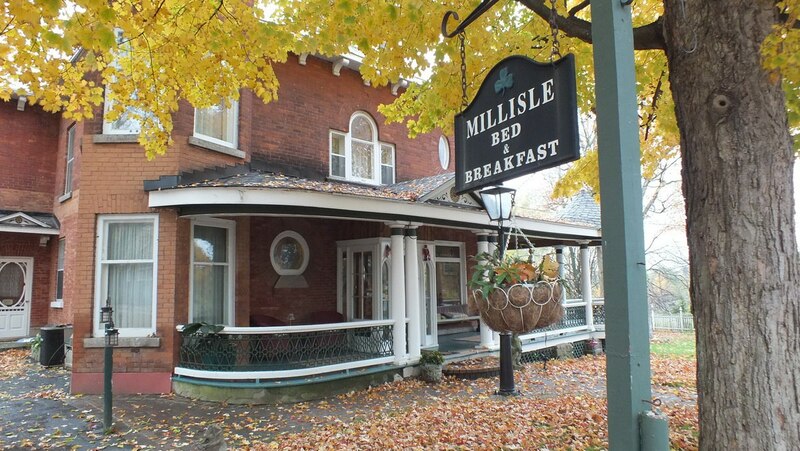 We believe this was the best bed & breakfast experience we have ever had.